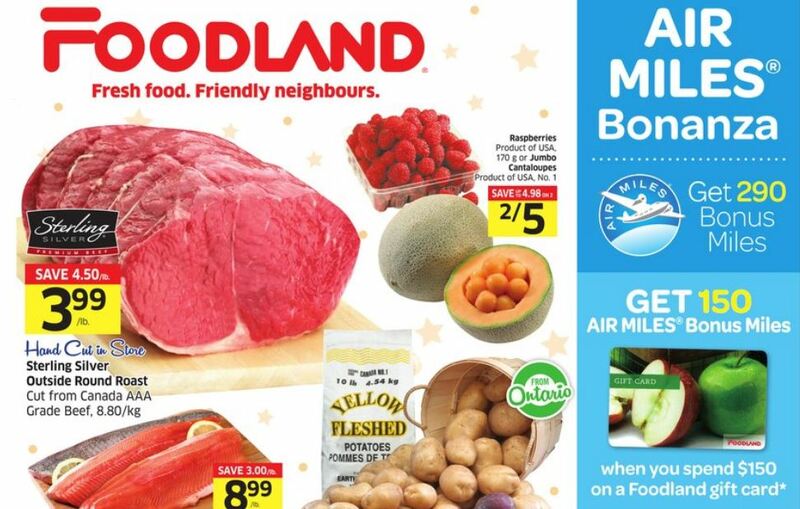 Make your own sale at the grocery store this week with this Air Miles offer from Foodland. Buy a $150 Foodland gift card, which can also be used at Sobeys and FreshCo, and get 150 Air Miles worth over $15. Think of it as 10% savings on your grocery bill when you use that gift card. There are some Air Miles deals in the flyers on Maple Leaf hams and Campbell’s soups but unless Foodland is your only option in a small town, these can be purchased cheaper elsewhere. One decent offer, however, is the Triple Layer Bar Cake for $7.99 with 50 Air Miles back on each making them under $3 each. There are no major deals for Shop The Block this week, but you can still complete 7 offers for under $80 if you can find all of the items in your local store. See the Foodland flyer here.